Happy Thursday babes!! 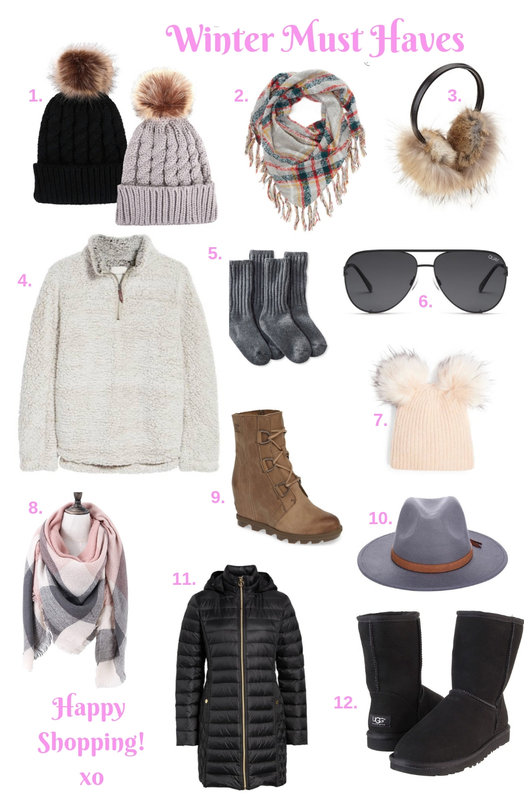 Today I’m going to share with you my faves/must have winter accessories! New York gets crazy cold in the winter and I aim to collect the most fashionable and affordable winter accessories out there!! A few of my favorite places to shop for accessories are…Marshall’s/TJMaxx, Target, Forever 21, Free People, H&M, and American Eagle. Target is my go-to basic winter accessories store. When looking for a plain fur scarf, beanie, or gloves Target is the place to go. Everything is very affordable and super cute! Forever 21 is just an easy way to follow all winter trends at affordable prices as well! My favorites would be Free People and H&M. Most of my scarves are from FP, including this cute black one I just got last weekend..linked here! They are well made, cozy, and keep me warm all winter long! Free People is a bit on the pricier side, but GIRL their accessories are everything! I belt EVERYTHING I own and all of my belts are from FP…Check out this one my bestie just got me here!! Lastly..I just purchased this cutie (no. 10 below) from wildlifenco.com & im OBSESSED! Happy Shopping, everything is linked below!!! All of the above is linked below! !